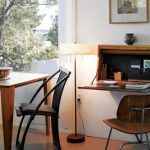 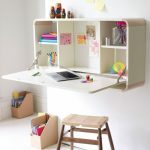 A traditional working desk is identical with ‘flat’ design in which it is a freestanding desk unit with drawers on base and a cabinet with a writing desk plus a bookshelf on top. 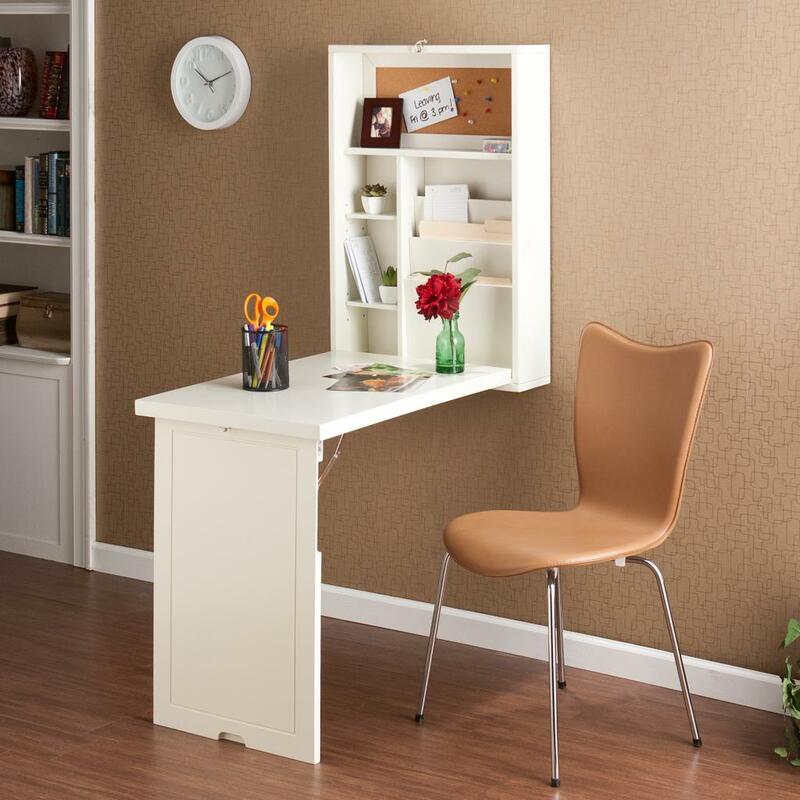 Just imagine that such working desk is not really effective, particularly for a small room. 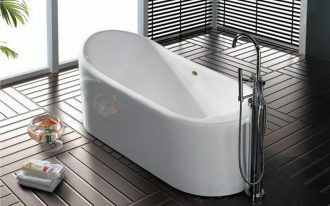 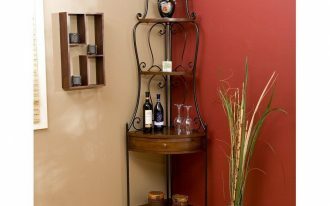 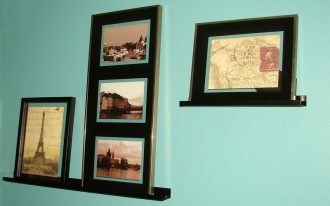 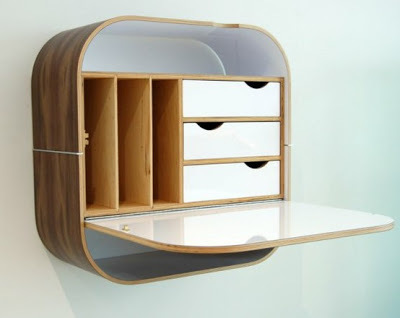 It will be different if you just take a cabinet; you have just got the piece that is ideal for a small room. 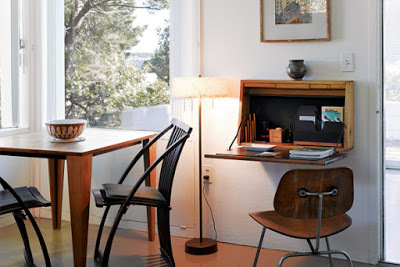 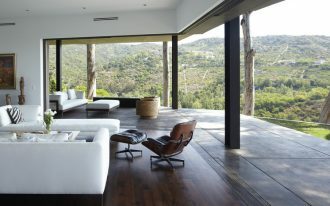 But the question is ‘how about the writing desk? 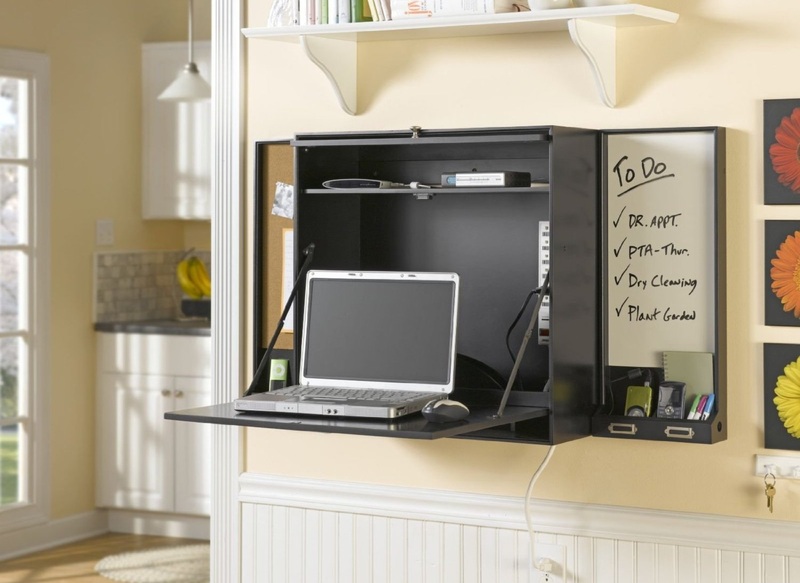 Where we should write down our daily reports?’ Well, actually there is a great solution to answer your questions. 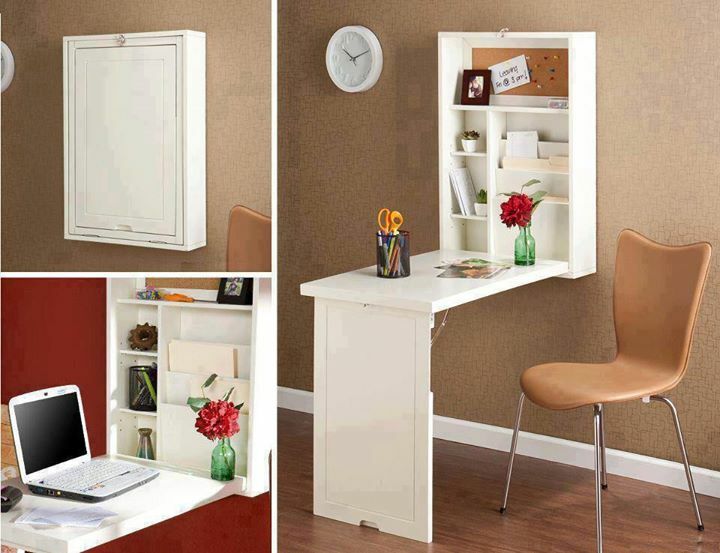 There is a new and innovative furniture piece that meets the needs of storage system with desk for a small space. 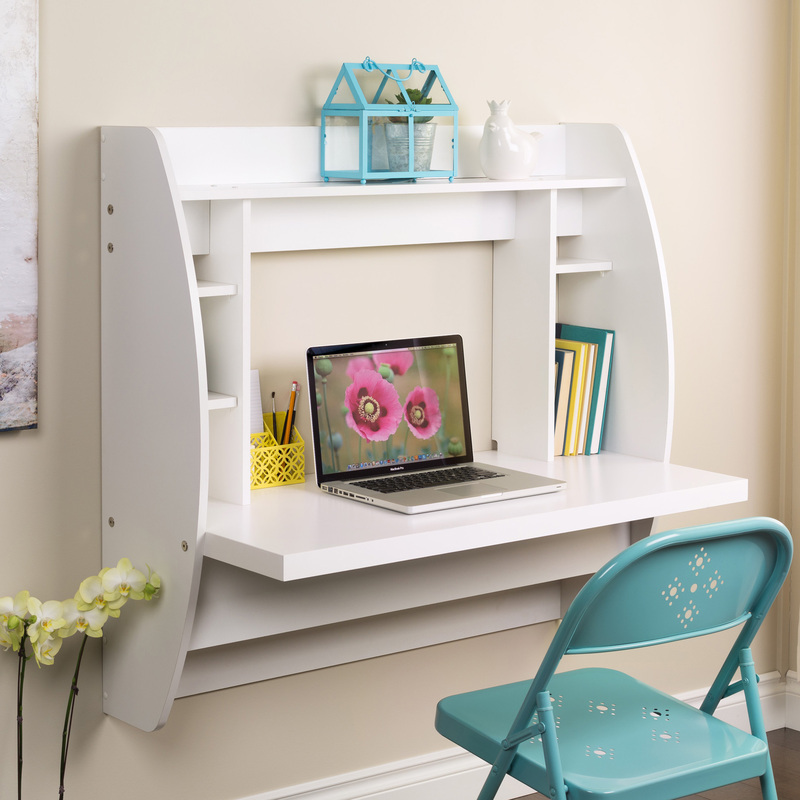 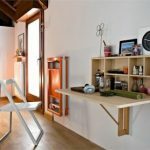 This furniture is a wall mounted folding desk. 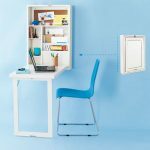 Wall mounted folding desk, basically, adopts a traditional workstation, but the legs are removed and the workstation is mounted on wall. 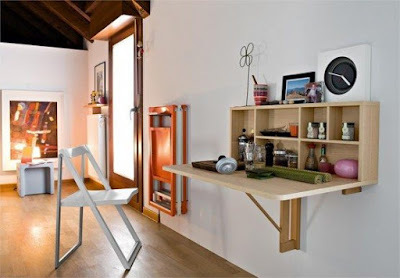 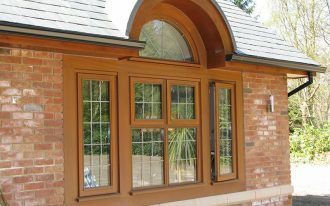 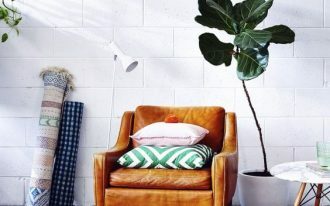 This idea allows you to have more floor space. 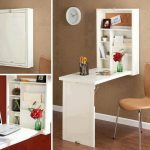 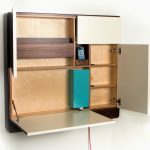 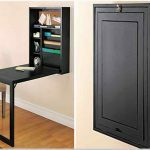 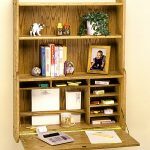 In addition, the idea of cabinet with folded door lets you to have a workspace when you need it by fold-down the workstation and fold it up when you don’t. 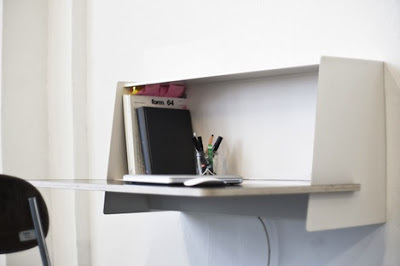 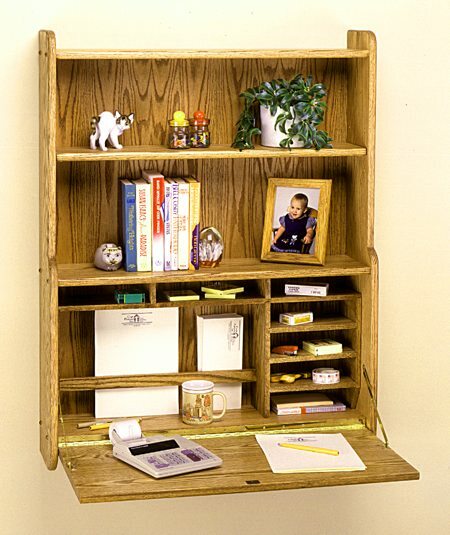 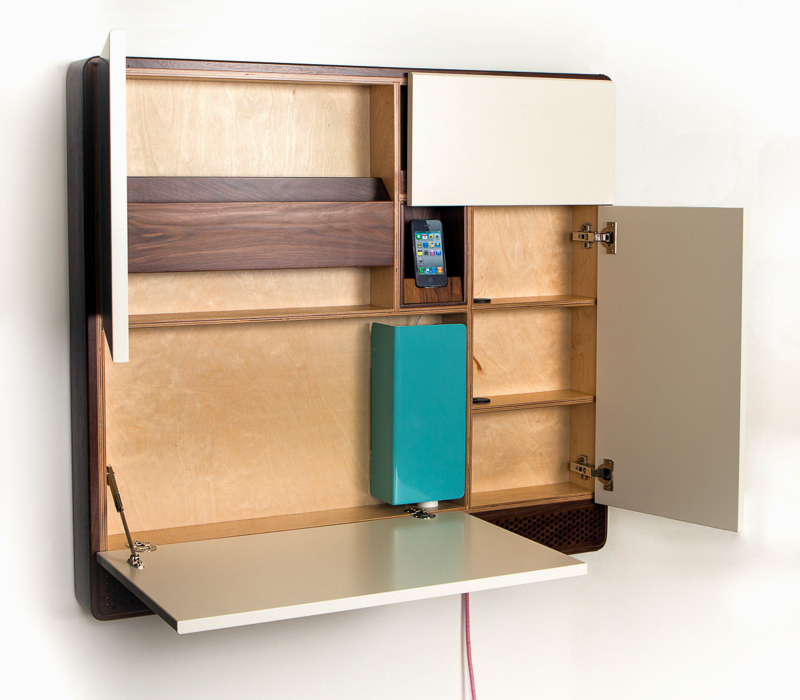 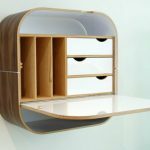 In fold-up version, this type of desk hides all things stored inside the desk neatly. 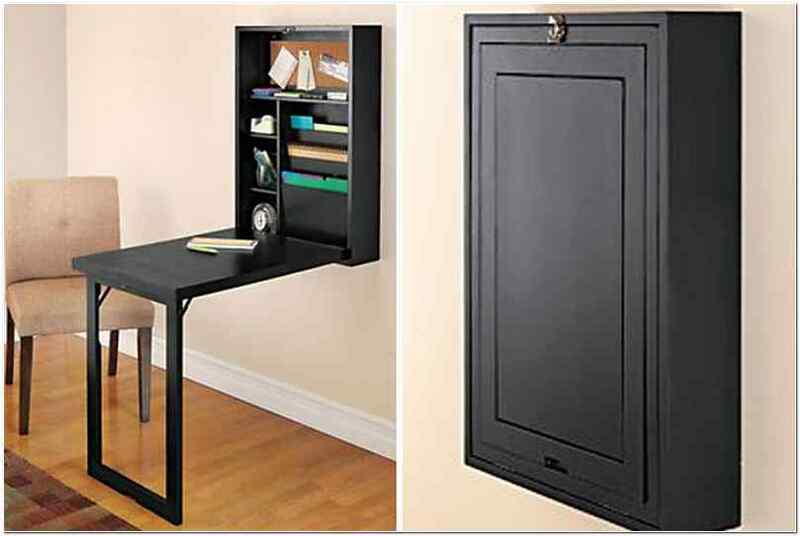 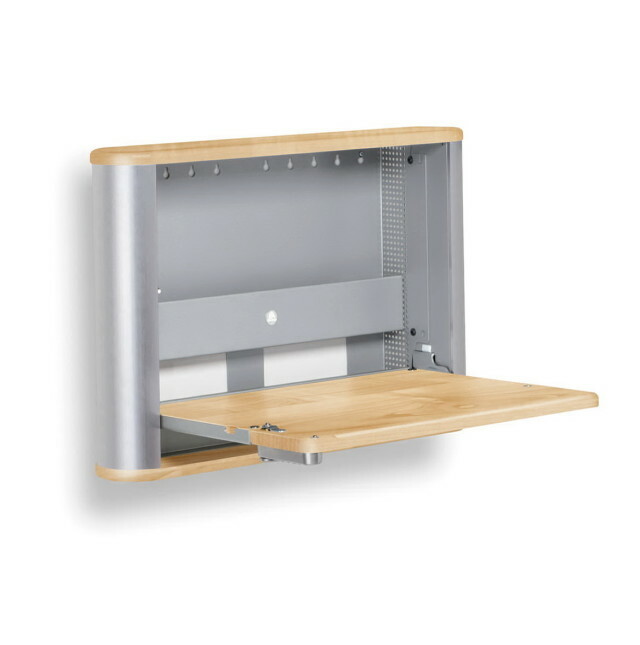 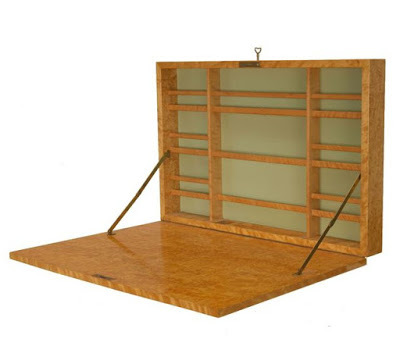 There are so many variants of storage systems employed for wall mounted folding desk. 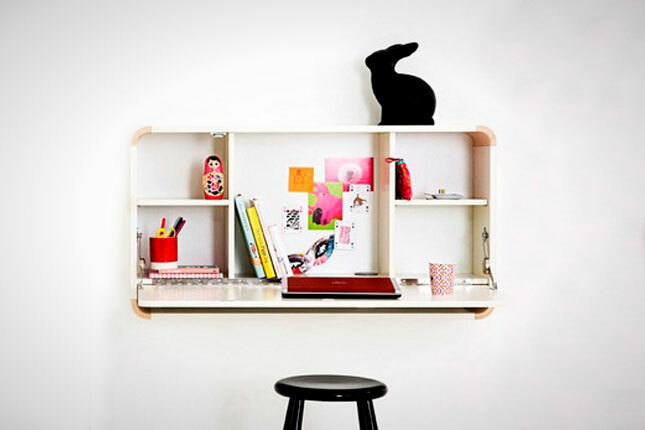 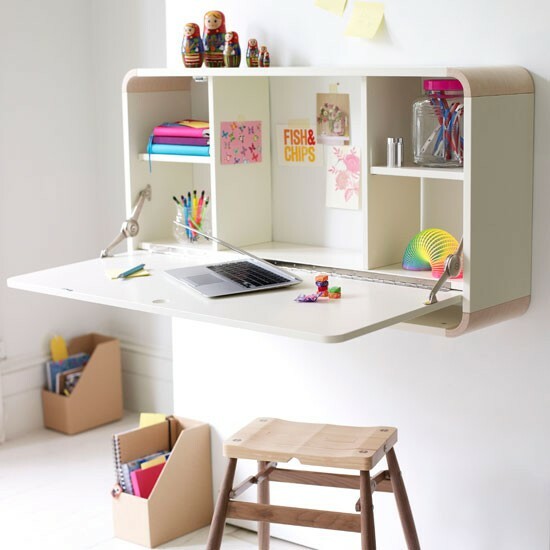 Shelves, single shelf, and drawers become three types often used as the storage unit for such folding desk. 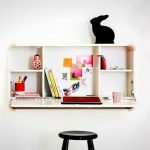 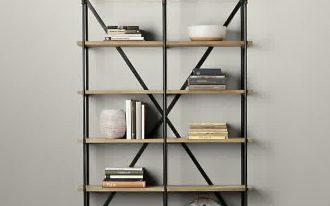 The few of them use mix shelves and drawers to store the books, files, and other stuffs related to office or school daily needs. 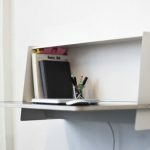 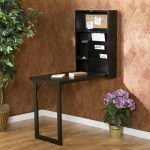 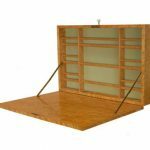 If you want to see more about wall mounted folding desk designs, just check our gallery and from the gallery, you can find some stylish wall mounted folding desk. 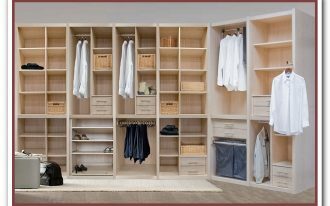 Perhaps, one of them suits your personal style and need.